The tomatoes are pretty much done, but I planted some more cucumbers and beans back at the beginning of August, and they’re actually doing really well! 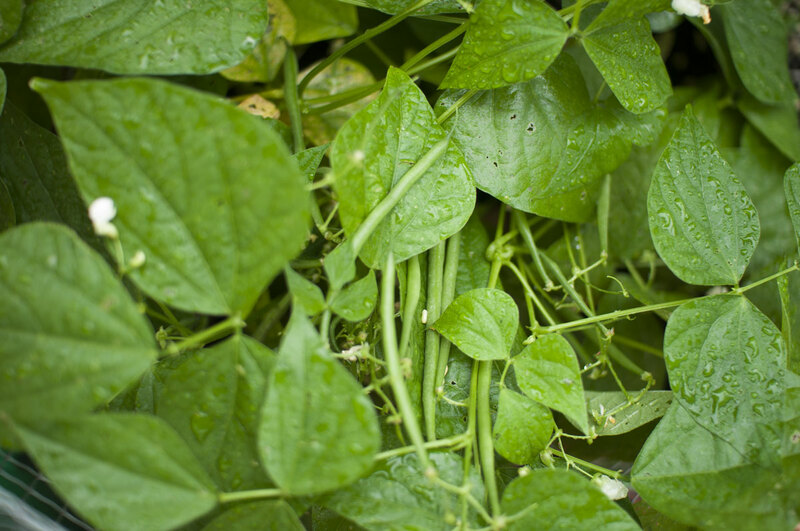 Beans are so easy and satisfying to grow. 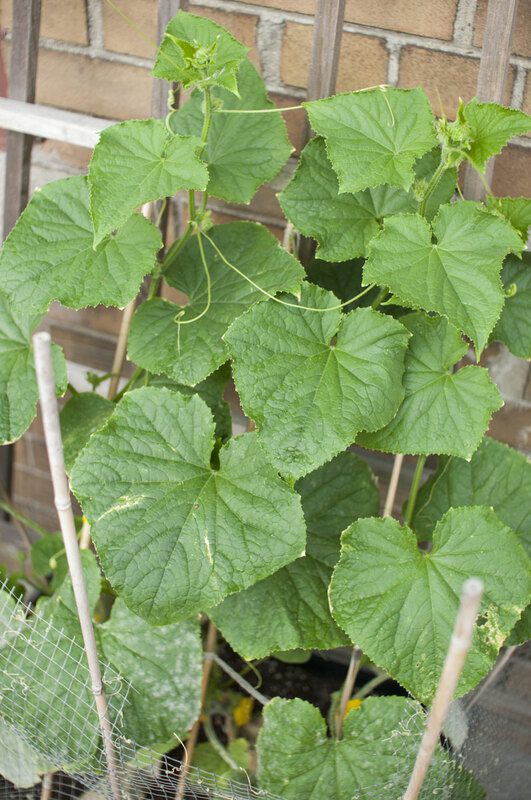 I’m hoping this more sheltered space (close to the door) will make the cucumber less enticing to the squirrels – this variety is a ‘patio’ cucumber, which has smaller vines but is supposed to produce ‘masses of fruits’! 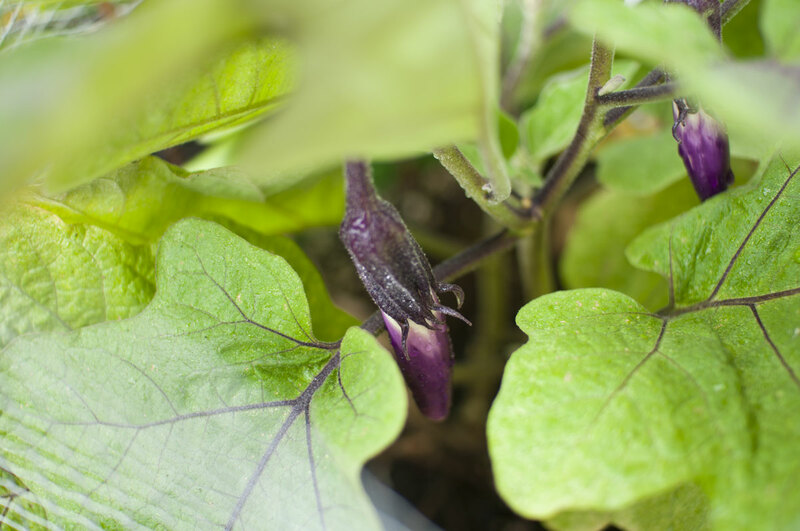 Some eggplant is finally coming in – I’ve always found eggplant takes the ENTIRE summer to grow, and this year is no exception. We’ll probably only get a few. 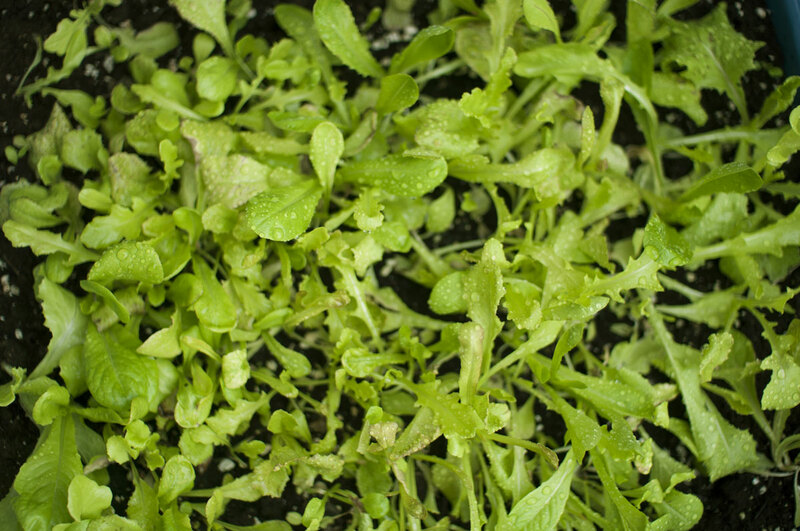 Some lettuce mix is going a bit crazy. I’m terrible about thinning, but the jumble is just fine for harvesting a few handfuls of baby leaves at a time. 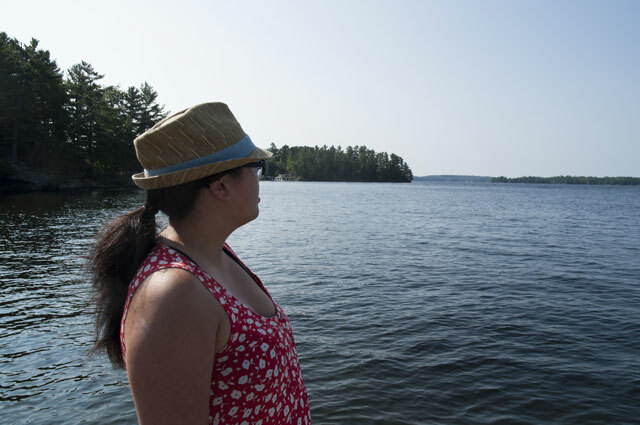 Over Labour Day weekend we headed up to Muskoka for a family wedding. The weather was sunny and hot, and the wedding itself was a lovely party! Unfortunately we both suffered from a severe case of cam-nesia and neglected to get any photos while all dressed up. 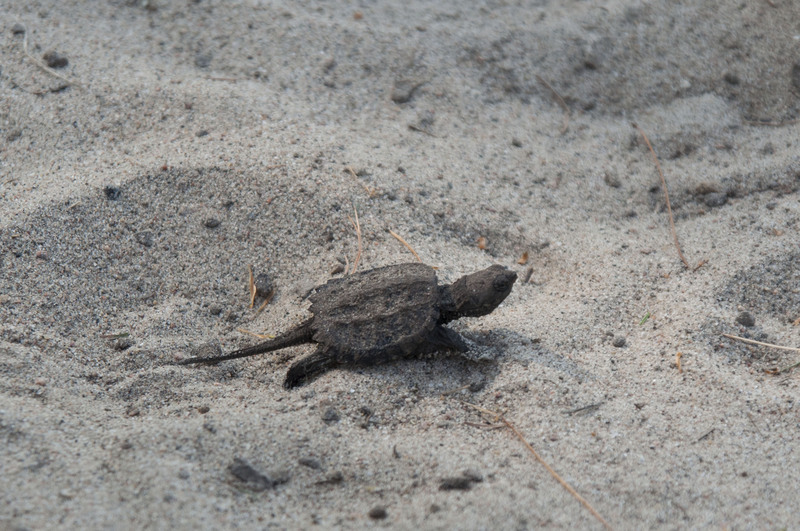 Found a little friend on the strip of beach. I had a lot of good knitting time in the car on this trip, but I’m still buried under mountains of deadline knitting! Looking ahead, the calendar is filling up fast and there’s only few short months before *you-know-what*. A load of the designs I worked on this spring and summer are being released! 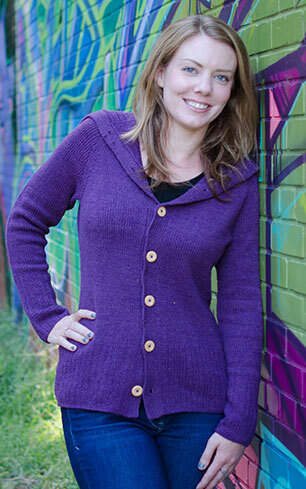 Rail Yard is FREE PATTERN for a cozy, cabley cardigan featuring awesome chain-link cables and a double-thick collar. 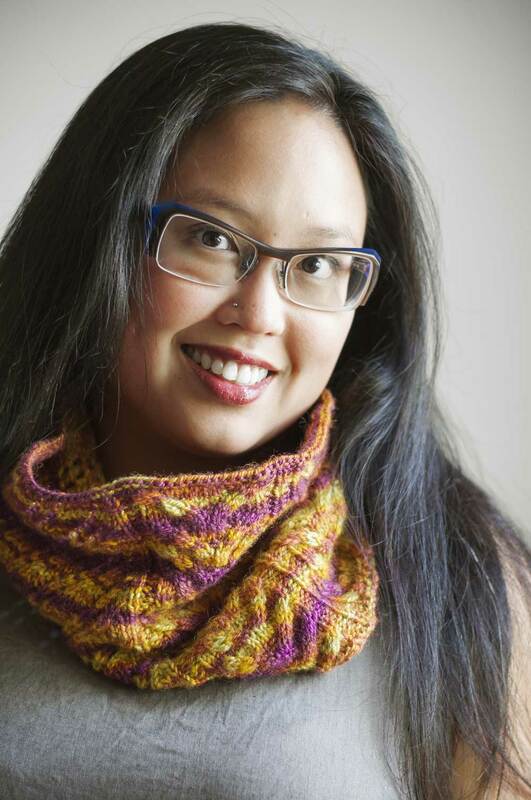 It’s worked in Lorna’s Laces Cloudgate, a new multi-plied superwash bulky merino – so plush! Check out the Deep Fall Issue of Knitty! Check out the Deep Fall Issue of Knitty. Queue and Fave Rail Yard on Ravelry! You may have heard Laurie from Feel Good Yarn Company this week on the Woolful podcast. I’ve designed two sweaters in their SilverSpun Sport, a really cool cotton-nylon-spandex-silver that has tons of stretch and feels like terry cloth when knit up. Ayden is a bottom-up, seamless raglan cardigan with deep garter rib edgings and a long sailor collar. FGYC is also offering kits with a discount on the yarn. Queue and Fave Ayden on Ravelry! Belwood is a scoop neck pullover that features an easy texture pattern on the front and back, stockinette panels at the sides for easy shaping, and long ribbed sleeves. The body is worked in the round from the bottom up, then split for the upper body. The sleeves are worked in the round to the cap, then back and forth for the cap before being seamed in. Check out the Belwood Yarn Kits. Queue and Fave Belwood on Ravelry!